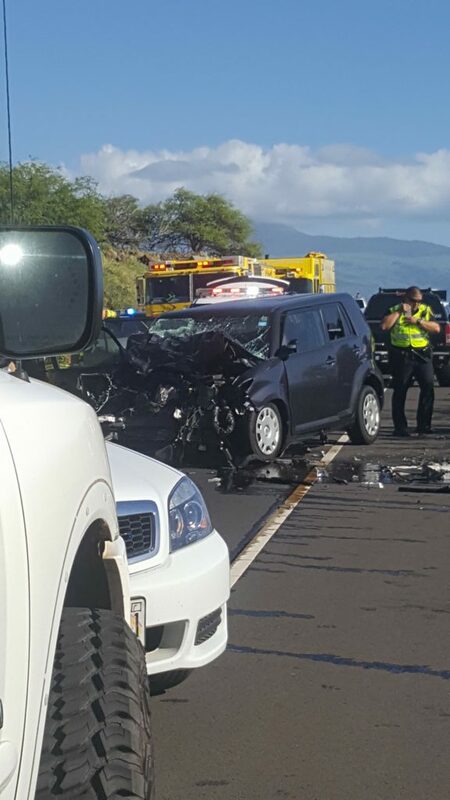 A 66-year-old Kahului man suffered fatal injuries in a head-on traffic accident on the Honoapiʻilani Highway on Monday afternoon. The man, who was a rear seat passenger in a gray 2011 Scion, has since been identified as Manuel R. Rivera. Full details and an updated story is now posted at the following direct LINK. ROAD NOW OPEN. TRAFFIC STILL BACKED UP. EXPECT DELAYS. 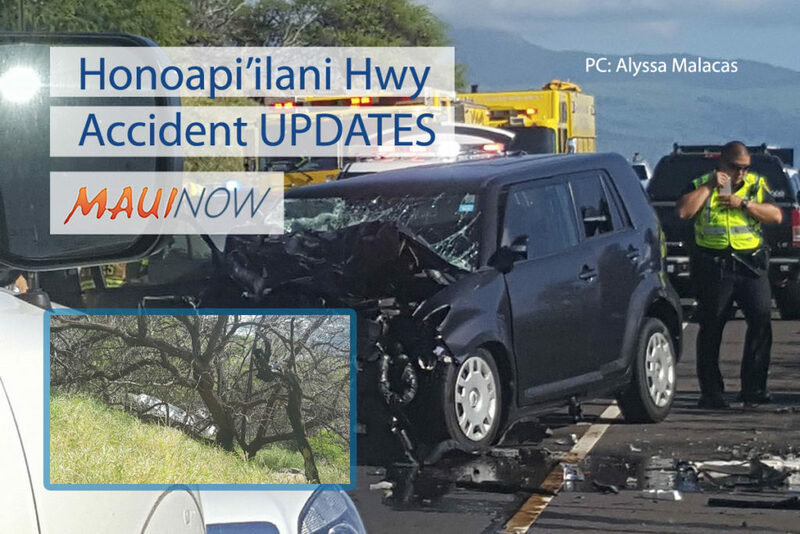 A contraflow remains in place on the Honoapiilani Highway following a traffic accident on the Pali section of the highway near Mile 9 involving a vehicle that went over the edge. Another vehicle that was involved in the crash has since been towed from the scene. 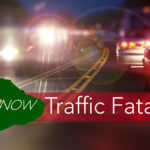 The accident was reported shortly after 3 p.m. and contraflow was implemented at around 4:45 p.m. Motorists can expect significant delays and should proceed with caution. A contraflow was implemented a few minutes ago. 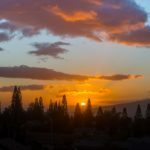 Motorists can expect significant delays. 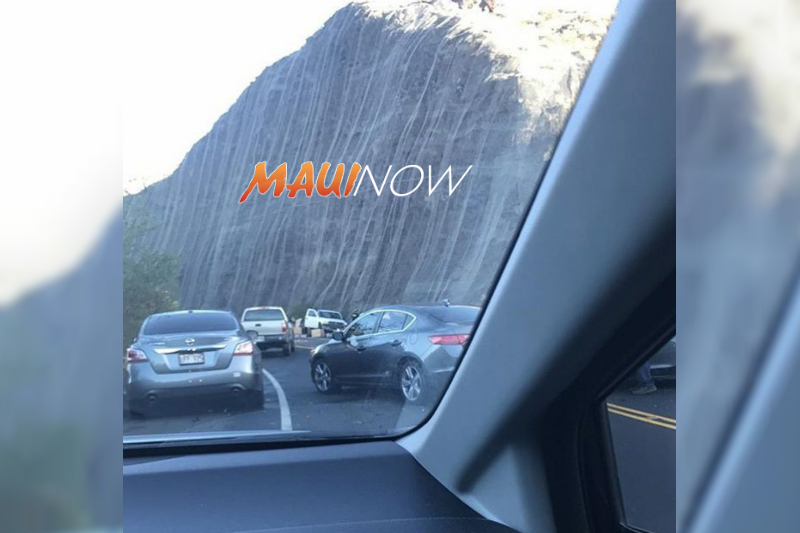 This is following a traffic accident reported earlier this afternoon at around 3:10 p.m. on the Honoapiʻilani Highway near Mile 9 in the area of the Scenic Lookout. Motorists are advised to proceed with caution and expect delays. 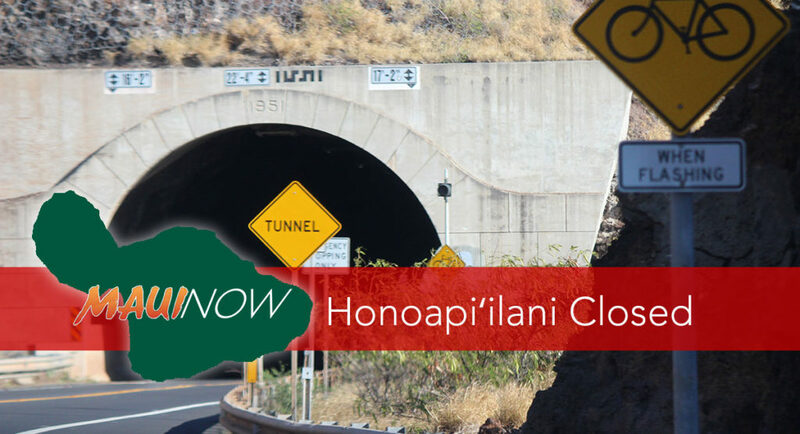 The Honoapiʻilani Highway (30) remains closed to traffic in both directions. 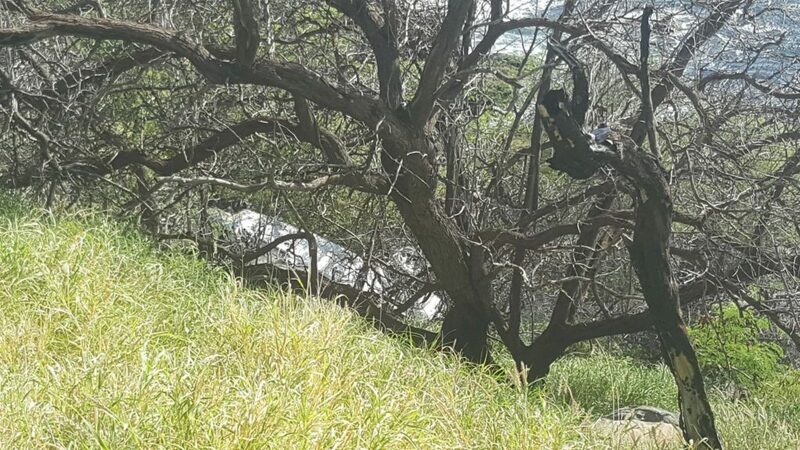 The accident was reported at around 3:10 p.m. on Monday, Nov. 6, 2017 near Mile 9 of the highway near the Scenic Lookout. 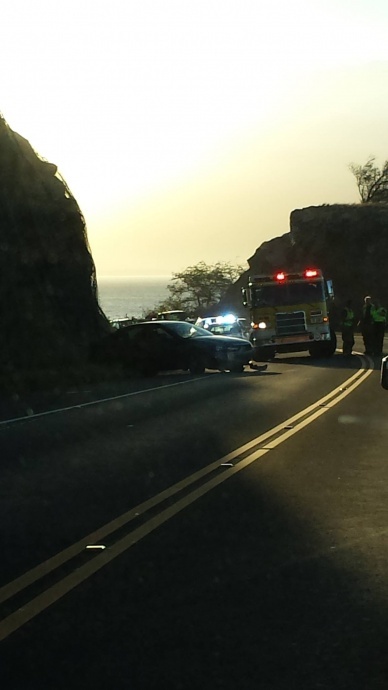 The accident involved at least two vehicles, with one going over the cliff side. Police are on scene. There is no estimated time on when the road will be reopened. 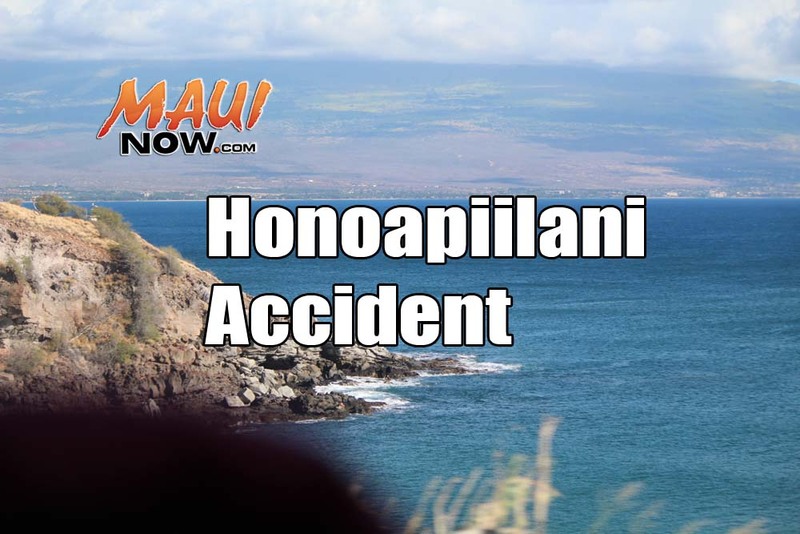 Honoapiʻilani Highway (30) is closed to traffic in both directions at mile-marker 9 near the Scenic Lookout due to a motor vehicle accident reported at around 3:10 p.m. on Monday, Nov. 6, 2017. Emergency crews are on scene. Motorists should expect delays and plan accordingly. There is currently no estimate on how long it will be until the road reopens. *Check back for further details, which will be posted as they become available.